Manchester United are reportedly looking to bring in another sensation from Portuguese football. This time, they are linked with the Porto player James Rodriguez. The midfielder has been creating waves with FC Porto this season. Manchester United are looking to bring him in a similar kind of deal to that of Anderson and Nani. Both players arrived at Old Trafford relatively young, but with much to learn. James Rodriguez also seems to be a similar kind of player, with a lot of potential to develop with the right kind of training. The 20-year-old midfielder is regarded as one of the hottest young properties in world football. 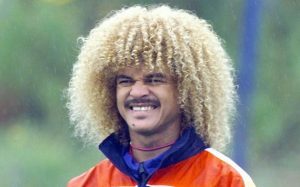 He is very similar to the famous Colombian player Carlos Valderrama. Due to the number of similarities both these players share, James Rodriguez has been nicknamed as the ‘el Nuevo pibe’. 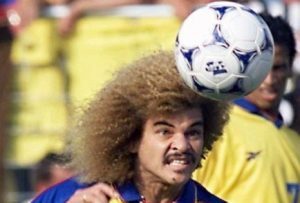 This name is very similar to the nickname of Carlos Valderrama – ‘el pibe’. James Rodriguez began his career with Colombian club Envigado FC before moving to Argentina for bigger and better things. It was during his time at Argentina that he came to the attention of top European clubs. He finally made his much anticipated move to FC Porto shortly afterwards. It was under former Chelsea manager Andre Villas-Boas that he made his debut for FC Porto. The little-known youngster soon impressed the staff at FC Porto. He has been one of the regular players for the club this season. So far, he has made 17 appearances for the club in the league alone, while he has scored an astonishing 11 goals from this matches. His strike rate becomes even more impressive when you consider that he is a midfielder. Due to these qualities, Manchester United are looking to sign him with a view of replacing Paul Scholes in the future.